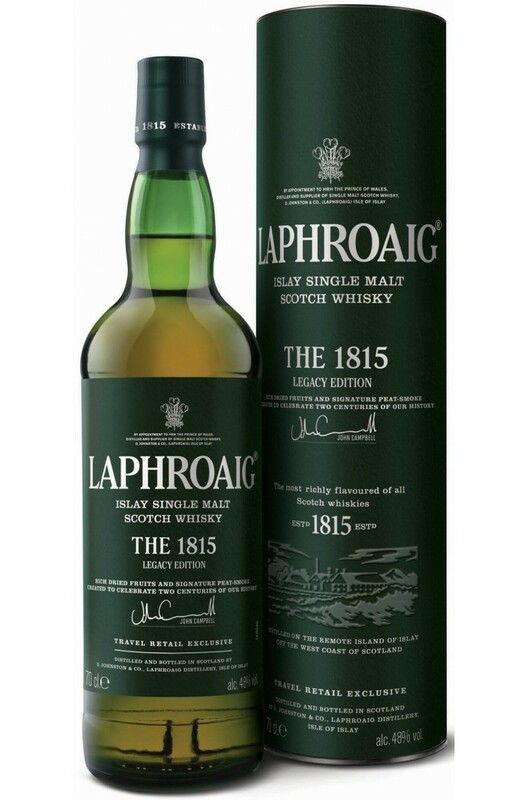 A travel retail exclusive that was created by Laphroaig's distillery manager John Campbell, in tribute to past distillery managers for making this much adored peated malt. For the maturation first fill Bourbon barrels and European oak hogsheads have been used. Types of Barrel used for Aging The 1815 is comprised of first-fill, ex-Bourbon barrels and European oak hogsheads. Having been matured in four different types of cask - Ex-Bourbon casks, Quarter casks, virgin Americ..